OVERVIEW: Lionsgate presents the fourth installment of the After Dark Horrorfest 8 Films to Die For with a new horrifying collection of DVDs from the popular national film festival. 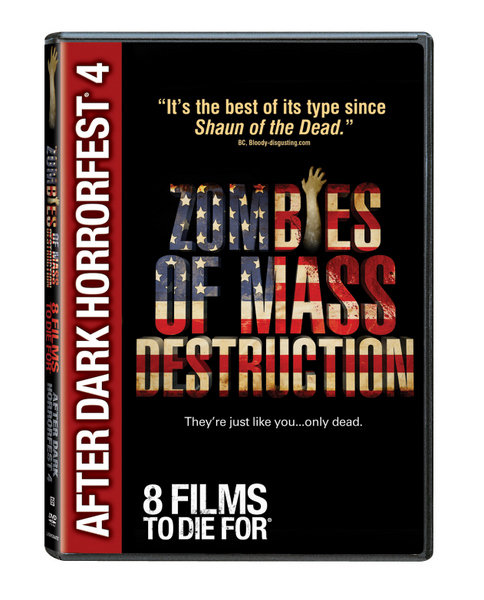 The DVDs included are The Graves, The Graves, Dread, Zombies of Mass Destruction, The Graves, The Final, Kill Theory and The Graves. These films will be released theatrically nationwide in top markets around the country the week of January 29. Each year, the collection brings together some of the best in independent horror filmmaking. references and brief drug use.